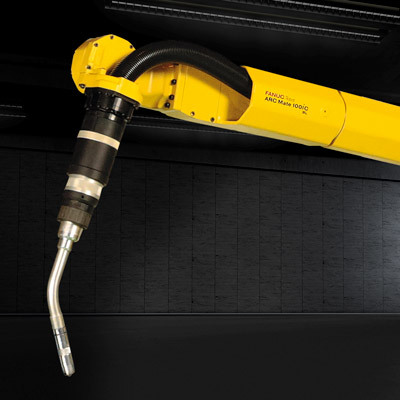 Designed specifically for arc welding applications, the new ARC Mate 100iC/8L boasts a slimmer and lighter arm than its predecessor. 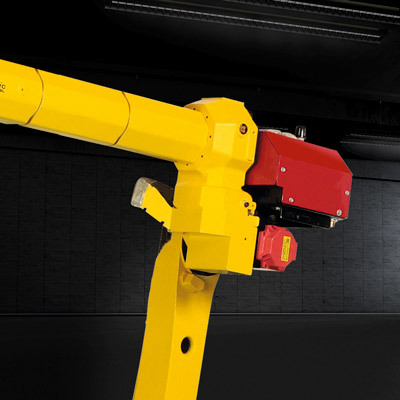 Benefiting from a large working envelope, it’s outstanding motion performance is enhanced by vibration free positioning and rapid acceleration / deceleration. 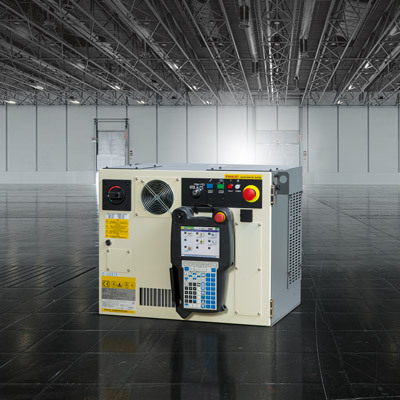 ARC Mate 100iC/8L uses considerably less energy than the older model and boasts a cost efficient modular design. 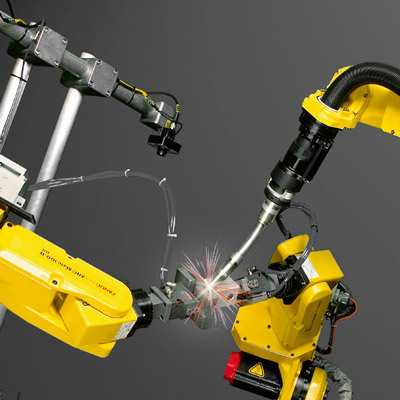 The unique gear drive mechanism on the wrist axes keeps the ARC Mate-100iC/8L’s arm slim while providing enough room for an integrated torch cable. 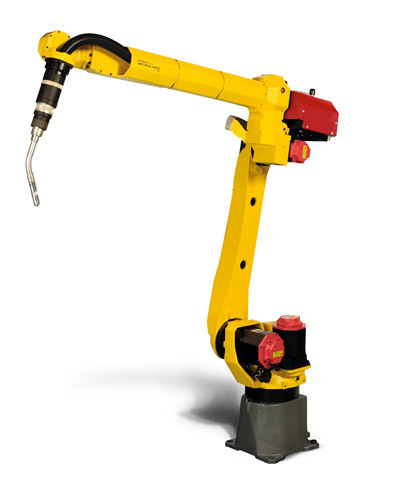 Sufficient for arc welding applications, the arm has an 8 kg payload and 2 m envelope. 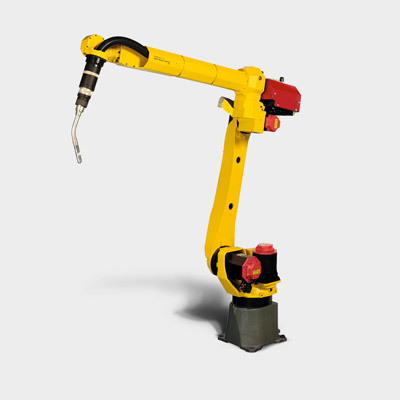 Compared to its predecessor, the new lighter, slimmer arm equates with a 30 % reduction in power consumption, 40 % less weight and a 20 % reduction in the J2 interference radius. To ensure maximum parts availability and easy interchangeability, all ARC Mate-100iA models share the same motor, reducer and controller. 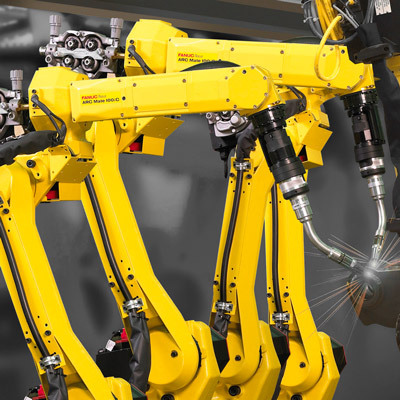 The latest servo control technologies contribute to vibration-free positioning, even after a high-speed air cut motion. Optimised acceleration and deceleration control for the wrist payload can improve the productivity of the system. Maximum versatility thanks to an increased reach up to 2028 mm, flip over capability, wall, angle and ceiling mounting.